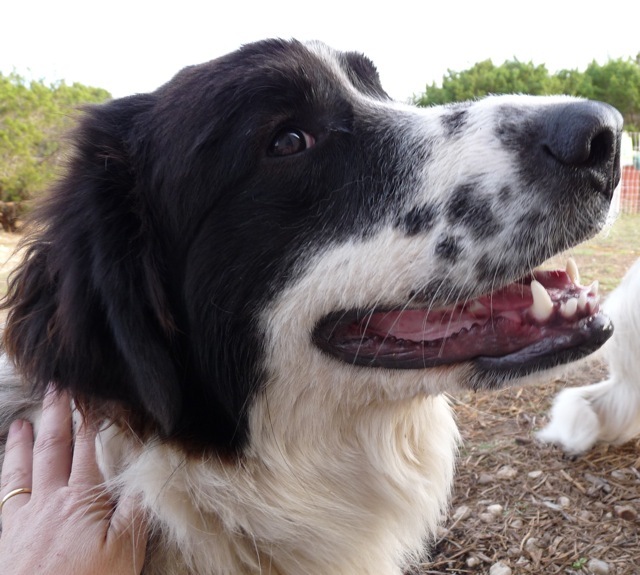 For which specific breed may be good for your farm needs: "Working Dogs: Pick a Perfect Pooch for Your Pastures"
Maggie: Bandit's angelic-looking litter-mate and alpha dog wanna-be. She's an unrepentant egg-stealer and escape artist, and instigator of most things naughty. 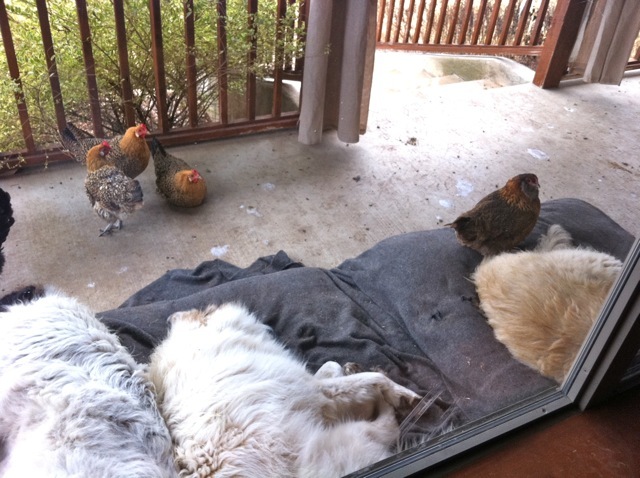 She makes up for her shortcomings with her guardianship of not only the birds, but FROM the birds. If the geese seem like they're going to gang up on a human (large or small), she'll put her body between the birds and the human. Good dog! Emma: a rescue that our vet clinic swore would be a good match for us, and so far, they're right. 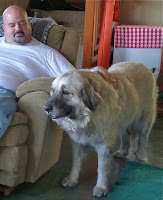 She came to us severely underweight and shaved down, and is now fully re-furred and weighs a good 120 pounds. 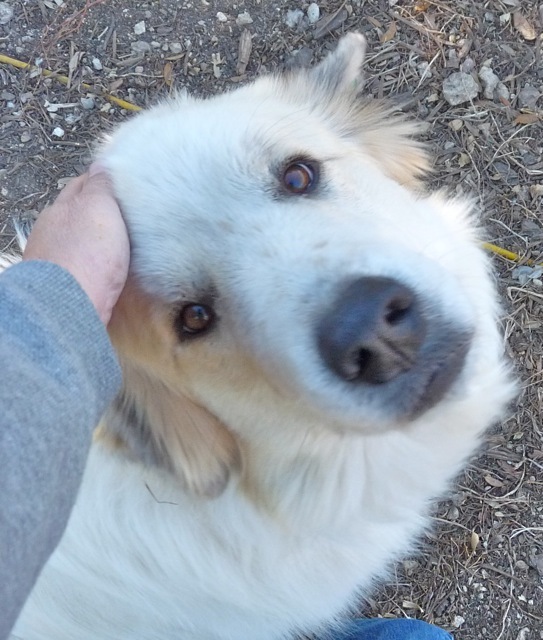 She had some problems with food possessiveness (understandable, and also an issue with the Great Pyr breed), but we've worked with her to ease that issue. 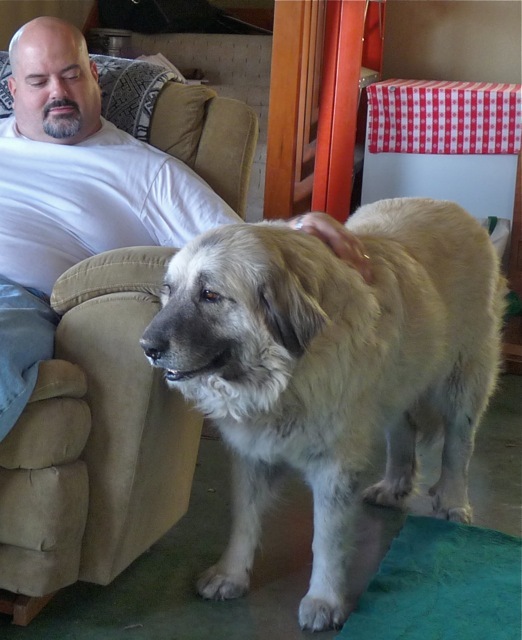 The vet estimates she's probably 9 years old as of 2011, and for a large dog, that's up there in years. She's arthritic and has hip dysplasia, but with meds she's doing well. 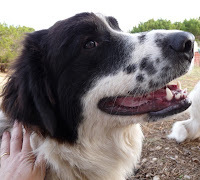 She has a bark that comes up from her toenails, and altho Maggie & Bandit are no slouches when it comes to deep-sounding barks, I wouldn't mess around with Emma. She sounds fierce. I don't think Emma was raised to be a working dog, but after training her to realize the ducks and chickens were not squeaky toys, she took to guardianship just fine. The geese? She avoids them like the plague. Smart dog.